Research is revealing more information about microbes found on humans and in the manufacturing environment, changing the way microbiological strategies and tests are devised. Pharmig’s annual conference, held in Nottingham, UK, highlighted some areas where pharmaceutical regulators have embraced these new concepts but have not, as yet, mandated or specified procedures in the standards. Tim Sandle, Site Microbiologist, Bio Products Laboratory (BPL) began the proceedings by looking at recent research from the Human Microbiome Project (HMP) and its implications for cleanroom microbiology. Research on the HMP has revealed that there are some 1,000 different species of microbes found on men and women, and it is now recognised that a human adult houses about 1012 bacteria on the skin, 1010 in the mouth and 1014 in the gastro-intestinal tract. There is also a considerable diversity of species and a variation between individuals. 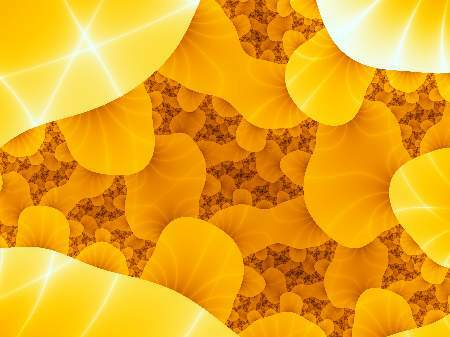 The skin is now regarded as an ecosystem with different areas populated by different species. Knowing what is there is important because people can shed as many a billion skin cells a day, and up to 10% of those may carry on average four microbes per skin cell. The difference between what is found in the cleanroom using culture methods compared with what we now know resides on most people poses the question, is the media and its incubation regime suitable for the recovery of the types of microbe likely to be shed from the skin? Today, we can identify those microbes through the use of genotypic techniques (such as 16s rRNA genes in lysed microbial DNA) and whereas previous culture methods tended to detect Microccocus spp., Staphylococcus spp., and a low incidence of Gram positive rods, new research indicates the prevalence of other species such as: more Gram-negative bacteria (Acinetobacter is the dominant genus) under the arms and between toes, more Gram-positive and anerobic bacteria linked to arms and torsos, and more fungi generally distributed all over the body. For microbiologists concerned with bioburden, this difference between what is found in the cleanroom using culture methods compared with what we now know resides on most people poses the question, is the media and its incubation regime (time and temperature) suitable for the recovery of the types of microbe likely to be shed from the skin? In the light of this, Sandle considered various implications: Is there a need to change environmental monitoring (EM) methods? Is anaerobic or fungal monitoring needed? Does the disinfectant efficacy panel need expanding? Does media growth promotion need to change? What can be learned for micro data deviations? And do the findings inform about gowning practices? One of Sandle’s conclusions was that culture-based methods remain useful as a spot check for indicators of cleanroom contamination as they pick up enough species to show a trend. However, EM may need to be adjusted for anerobic micro-organisms, and given the relatively high levels of Propionibacterium spp. associated with hair follicles, he suggested, this is particularly relevant where nitrogen gas or compressed air lines are used as part of the filling process and have contact with the product. The findings also have a bearing on disinfection studies. Perhaps consideration should be given to broadening the ‘test panel’ and checks made as to which species are most resistant, he said. 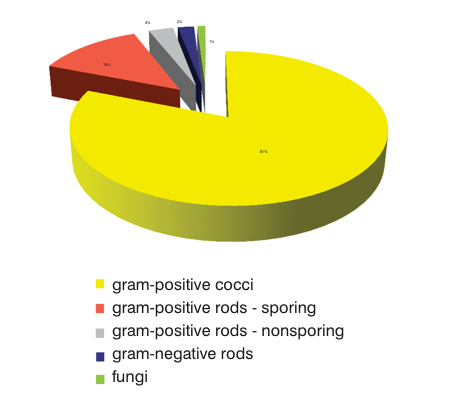 In terms of trending, it may be advisable to review efficacy of cleaning and disinfection regimes to check whether spore-formers or Gram-negative species are surviving. Finally, there were also considerations for gowning, e.g. should more be spent on undergarments? Chris Wells, Director, Global Key Accounts at bioMérieux, spoke on the use of plant (facility) isolates in QC testing and pharmaceutical microbiology validation. Increasingly, pharmaceutical companies are including their own isolates in the battery of micro-organisms that are used for media growth promotion testing and validation studies. 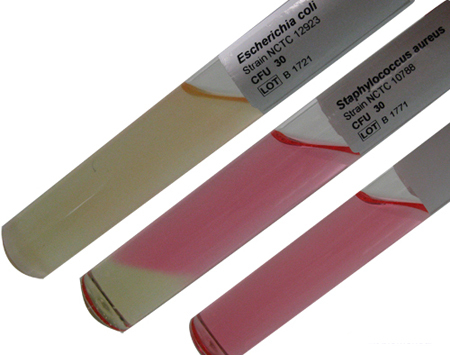 These are wild-type strains isolated during EM, sterility and bioburden testing, and routine testing for contamination or spoilage. Some industry commentators, however, point out that compendial methods do not currently mandate such an approach, while others have challenged the merit and practicality of their use. Despite their use being optional, Wells said more ‘challenge testing’ was being carried out to check if disinfectants are working. He said that there was ‘a perception’ among large pharma companies that regulators in the most developed markets expect the use of plant isolates despite the lack of definitive and clear guidance on what is required. In the past 10–15 years some 10 or more companies were cited in 483 warning letters for not using wild isolates, said Wells. Their use was also driven by an aspiration towards best practice or corporate edict, he suggested. While many companies currently select two (or more) of their high frequency isolates based on annual review of EM data (reassessed annually) there is no correspondence between common plant isolate species and those prescribed by Pharmacopoeial methods, raising questions about the relevance of prescribed strains, said Wells. Patrick Nieuwenhuizen, Manager, QC, Genzyme, suggested ways of improving cleanroom behaviour, aseptic practices and operator understanding so as to avoid regulatory observations. Cleanroom training is key but tuition is also needed to ensure operators understand the microbiology principles behind cleanrooms, such as: why they are cold, the difference between bacteria and viruses, why there is a pressure difference, the difference between cleaning and disinfection and why it is important. Even the rationale of using a triple bucket is important and needs to be explained to the non-microbiologist, he suggested. To avoid regulatory observations, he advised cleanroom personnel training should include – in addition to an introduction to basic microbiology – courses on contamination control, cleanroom behaviour, hand washing, gowning qualification, process simulations and media fills (if applicable). Operator performance is strongly related to environmental excursions, he said. According to research, some 95% of excursions reported contained micro-organisms from human origin and 85% of root causes were attributed to inadequate aseptic handling/behaviour (Figure 1). Operator performance related to environmental excursions? When training in aseptic techniques it is useful to have somewhere that operators can practise. Similarly, specific training should be carried out to demonstrate proficiency in handling media fills, and both should be under the supervision of a trained microbiologist. Because training is quickly forgotten and old habits creep in, Nieuwenhuizen suggested the need to develop a learning culture around cleanroom behaviour by having weekly communications and team meetings: ‘Get the right people involved and explain what the microbiologists found, why it is an issue, and what can be done to correct it.’ Thereafter, communicate what the outcome was and, importantly, appreciate the input provided, he added. Elaine Doyle, Senior Compliance Auditor, Abbott, looked at environmental controls, audit planning and writing audit observations. Doyle produced a long checklist of questions for use when auditing suppliers, such as: what regulations they use, what they produce, ask to see quality documents, identify their sites and product portfolio; determine the scope of outsourcing, identify significant changes to sites or quality systems (such as redundancies or change in site management), review the audit/inspection history of the site, request and review applicable procedures, determine the scope of utilities, for example, do they use compressed gas? In addition, she suggested requesting and reviewing the list of non-conformances and out of spec (OOS) investigations, any applicable quality agreements, where contract services and testing are utilised, and how they notify of any changes (e.g. by letter, e-mail, etc). Doyle said that many citations arise because sites are not carrying out processes as documented in their own SOPs, so ask to see trend data, look at temperature and humidity controls – do they have alarms? Are they validated? Has there been a pattern to excursions and how was it dealt with? To simply write on the investigation ‘additional training’ is not sufficient, she said. Ask whether there is any evidence to show it has improved. Finally, data integrity is another big cause of citations, she said, so verify computer systems that support the control of facilities. Alan Whipple, Microbiology Director, Product Quality at GSK UK, looked at deviation management and identification (ID) of isolates. 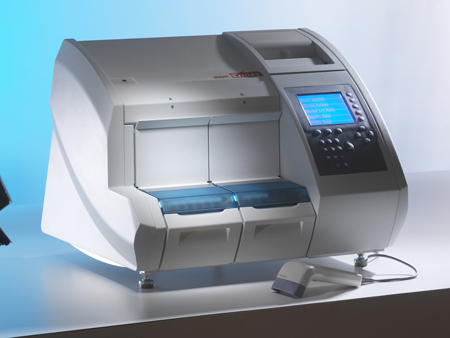 As technology has improved, rapid methods mean that an initial ID can be carried out quickly – but be wary of rushing to management to announce the initial findings, Whipple warned, as certain statements could persuade non-microbiologist managers to stop production when it may not be necessary. He suggested that before rushing to fully identify an organism the microbiologist should ask: Is the isolate likely to present a risk to product quality or product safety? Is there a regulatory expectation to identify? And is it useful to know the potential source? He added that traditional methods have their uses. For example, he suggested that a Gram stain can be used to identify a likely source. However, the risk of microbial proliferation needs to be understood – e.g. some bacteria in aqueous product should ring alarm bells. ‘Look for developing trends, such as an increase in spore formers or moulds...and make causative links,’ he suggested. The difficult question is how far to take the identification. Whipple said: ‘We don’t always need to go to species level ID’. His reasoning was if you give an organism a species name, you need to be prepared to assess and document the risk and impact of that micro-organism. ‘Identification to species level is both prone to inaccuracy and potentially expensive,’ he added, and so should not be attempted where it is not required. What is always important is that risk assessments are documented in a way that a non-microbiologist (doctor or layman) can understand the risk. Mary-Anne Weatherhead, a Qualified Person (QP) and a microbiologist at Pfizer, discussed the QP’s role and how microbiologists can build partnerships with them. She looked at the duties of a QP, key considerations for QP decision making, how the microbiologists can help the QP and why it is important for more microbiologists to become one. Part of the QP’s role is to ensure that each batch of product has been manufactured in compliance with national requirements and Marketing Authorisation (MA), and that each batch imported from outside the community has undergone in the EU full qualitative and quantitative analysis of the active constituents, and all other tests to show compliance with the MA. 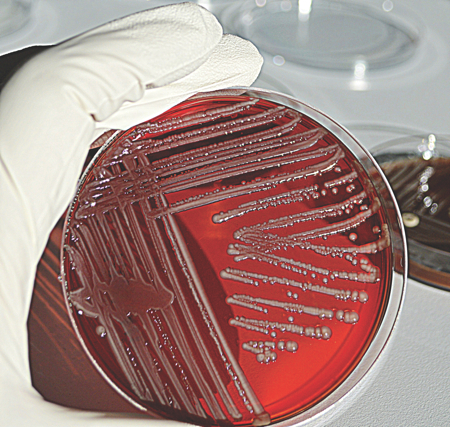 QPs and microbiologists are often key in contamination investigations and in such an event, the QP will want to know the scope, impact, immediate actions taken, root cause, corrective and preventive action plans (CAPA), and will want to have an overall summary. She also urged more microbiologists to become QPs: ‘A time bomb is ticking, as more QPs are retiring than qualifying,’ she said. In the UK, there are more chemist and pharmacist QPs than microbiologists. She added that having more microbiologists QPs would give the microbiology community greater influence over quality procedures and regulation. When designing a bioburden control strategy, Dr Kevin Wright, Principal Scientist, Microbiology, Procter & Gamble, UK suggested prevention is better than cure. Unfortunately, for many producers (personal care, food and pharma) the bioburden risk is increasing. Wright gave many reasons why that is, including increased use of natural raw and biodegradable materials, as well as use of milder formulation chemistries and fewer preservatives. All these trends together can increase the risk to the consumer via (undesirable) usage habits, and to product quality. Furthermore, the production facility is warm and wet, providing the ideal breeding ground for microbes. This means there is an increased need for a clean raw material supply chain, clean facility design, in process and raw materials monitoring and cGMP. At its November annual conference Pharmaceutical Microbiology Interest Group (Pharmig) initiated plans to create a Cleanroom Action Group (CAG) to discuss and formalise best practice in cleanroom procedures. The aim is to collate best practice across many aspects, such as cleaning, gowning and environmental monitoring, where currently none is available. Cleanroom practice is constantly evolving and standards, regulators and facility inspectors often specify the requirement for best practice but without specific guidance or a benchmark for companies to compare. Pharmig is a non-profit making professional organisation that represents the interests of those who have responsibility for, or work alongside microbiology within the pharmaceutical, cosmetics and healthcare sectors. At its annual conference delegates were invited to put forward particular areas of interest where best practice is not clear. 3. To hold regular visits to cleanroom facilities and to discuss and share good cleanroom and practices. Both Hayes and Dr Sandle would like to see the CAG becoming a key influencing group within the pharma industry and with regulators. Hayes explained that within the pharma industry there was a need for a ‘safe’ non-commercial forum, ‘where like-minded industry professionals can discuss best practice for all cleanroom activities, current hot topics and industry trends and updates’. The ethos of the group was well received and 43 delegates cutting across the industry have since joined. To get involved visit the Pharmig website. To enable an estimation of the probability and severity of bioburden relative to the consumer and product, he suggested collation of data that: quantifies how much bioburden is present (dose), identifies if it is a pathogen or environmental, and functionalises what the potential risk of the bioburden is to the consumer or product. The best strategy is to build an ‘integrated bioburden control approach’ he suggested. This is already practised by the food sector via the ‘Hurdle’ concept, which looks to combine hostility vectors during production – i.e. modified atmospheres, antimicrobials, packaging and surface pasteurisation. In FMCG, it could involve use of hostile intermediates, thermal cycling, HACCP, monitoring and intervention, pasteurisation and kill steps. He said changes in a facility’s bioburden may be driven by various factors: changes by the material supplier, changes in a formulation to less hostile ingredients, changes in equipment or process improvement, or letting the outside in due to engineering works. To improve control, Wright suggested setting up systems that alert to changes in quality agreements with suppliers and inform of plant changes and increased sampling, and communicating more with formulators. Joanne Spiers, VP, Quality Operations & Regulatory Compliance, Catalent, looked at how to carry out effective investigations. As stated in CFR 21 Part 211.192, any unexplained discrepancy or the failure of a batch, or any of its components, to meet any of its specifications, must be thoroughly investigated whether the batch has already been distributed or not, she said. Investigations must extend to other batches of the same drug product and other drug products that may have been associated with the specific failure or discrepancy. A written record of the investigation must be produced and should include both conclusions and follow-up actions. According to the MHRA’s annual review, poor investigation of anomalies has been top of the list of inspection deficiencies for the past five years (see Table 1). As a result, the first rule of the investigation process, she urged, is document, document, document. ‘If it is not documented it didn’t happen from the inspector’s point of view.’ The document should include the ‘who, what, where and when,’ she said, i.e. collect the facts, work out the impact and risk; do a root cause analysis and an impact assessment, and document the CAPA and their effectiveness. Dr Samantha Westgate, Perfectus Biomed, looked at industrial biofilms – a community of micro-organisms that can be both mono or mixed species, and that attach to a surface (or each other), encase themselves within a matrix of extracellular polymeric substances and are then internally regulated by the inherent population. In addition to explaining how biofilms form and attach to surfaces, she discussed the consequences of biofilm contamination and management methods to prevent or control biofilm formation. Common misconceptions about such microbes in water systems, she said, were that ‘maintaining water temperature above 80°C would kill all microbes’, that ‘ozone will eradicate them’ or that ‘microbes are present evenly throughout the system’. Within a bacterial biofilm, microbes can withstand temperatures over 100°C for 20 minutes, she said. The costs associated with biofilms include the corrosion of pipework (which increases bacterial adhesion), a decrease in pipe diameter, which decreases flow, and shut down and cleaning costs, as well as costs arising from lost product. The best weapon against biofilm is prevention, she suggested. This could best be achieved via a well designed system; multiple treatment methods at both ends of the system; testing water coming into the plant; and regular monitoring for early warning signs. Dr J. Mark Sutton, Technology Development Group, PHE Porton, looked at the difficulties of monitoring hydrogen peroxide (H2O2) decontamination processes using biological indicators (BI). BIs comprise a preparation of a specific micro-organism that provides a defined and stable resistance to a specific sterilisation process. Micro-organisms widely recognised as suitable for BIs are spore-forming bacteria, because these micro-organisms are significantly more resistant than normal microflora. Geobacillus stearothermophilus, for example, is commonly used for H2O2 (also steam), Bacillus subtilis var. niger for ethylene oxide, and Bacillus atrophaeus for dry heat. Sutton discussed the shortcomings of existing Geobacillus stearothermophilus BIs and discussed research that suggests some microbial organisms, such as MRSA, as well as biofilms are a greater challenge for decontamination with H2O2 than are Geobacillus BIs. He went on to talk about the development of a potential alternative: thermostable adenylate kinase (tAK) indicators, isolated from thermophilic bacteria Sulpholobus acidocaldariusas in volcanic springs, which can be used as a rapid read-out surrogate marker for assessing decontamination process efficacy. He provided a comparison of tAK indicator and BI performance in lab studies of two commercial (H2O2) decontamination systems. When monitoring H2O2 decontamination, the tAK monitoring test could give reduced turnaround time for the decontamination process development and optimisation, and could potentially improve surety around process performance, he said. Guest speaker Professor Val Edward Jones, Clinical Director, MelBec Microbiology and microbiology star of UK TV series Embarrassing Bodies, gave a wide-ranging view of microbial hygiene issues outside of the cleanroom. The TV series, aimed largely at teenagers and young adults, reveals the often shocking medical conditions of people who have been unable to get help from regular doctors and, thus, appear on the show on the basis that they will get the specialist help they need. The show also filmed various hygiene awareness-raising projects covering a range of aspects from body odour and bad breath to the hygiene of mobile phones, handbags, make-up, toilets, playgrounds, childrens’ toys and, the lack of hand-washing in airports. Rarely cleaned, many everyday objects such as mobiles phones carry a multitude of undesirable organisms: touchscreen phones can carry upwards of 100,000 bacterial cells on the screen, she said. Handbags, keyboards, toys and playground furniture were also found to have populations of undesirable microbes. While for most people this poses a small risk, as we lose our first-line antimicrobials, the risk for those in hospitals is much more severe. Unless new antibiotics or new antimicrobial strategies can be found we are looking at a future where invasive surgery would no longer be possible, she said. With the cost of bringing new antibiotics to market estimated at US$500m–$1bn (£300–£550m), many drugmakers are withdrawing from this area of research in favour of more profitable lifestyle drugs. Since 2009, only a handful of antibiotics have been developed or approved. While alternative antimicrobial strategies are under investigation ‘prevention is better than cure’, she concluded.